Within this blog, I will discuss few theories of the media, and will hope that just being aware of these theories themselves will allow us to be more critical in our evaluations of the candidates we vote for and politics in general. Problems with the media are two fold. Firstly, there may be an issue with what the media chooses to cover – the agenda-setting theory of the media. Secondly, there remains an issue with the information which we choose to expose ourselves to – homophily. The agenda-setting theory of the media states, that the “choice of covering an issue, and the amount of coverage devoted to it, affects viewers’ or readers’ tendency to judge politicians on the basis of the issues covered”. Anecdotal evidence, for example, suggests that some voters of PTI consider corruption a salient issue and think of Imran Khan as being morally sound and thus better than the alternatives. This is an ideal example of agenda-setting. Imran Khan’s election campaign was focused around a need for greater accountability and the removal of corrupt politicians. Agenda-setting may cause us to ignore many salient policy issues and topics as we narrow down our focus to those that are repeatedly highlighted by the media (or the politicians themselves). While it is not incorrect to evaluate how corrupt a politician is, in my opinion, it should not be the sole factor upon which we must decide who to vote for. Issues such as a monetary vision (one that is broader than just calling people out for corruption), social policies, and foreign policy are just a handful of other topics according to which we may judge the candidacy of our politicians. Homophily is the tendency of an individual to interact with like-minded people and content in socially significant ways. 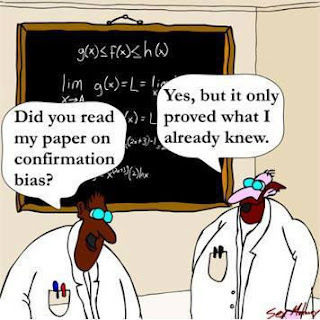 It is found in many networks and societal settings; something which can be explained intuitively; most people subscribe to beliefs that affirm their point of views as it saves them the intellectual cost of coming across content they do not already believe in – a confirmation bias. Homophily may explain the way we choose which news channels to watch or newspapers to read as well. Perhaps we expose ourselves to those which are closest to our pre-existing biases. This in itself is not a problem; however, it becomes a problem when there are so many belief systems to subscribe to that we take the opportunity to listen only, or at least mostly, to those points of views we find most agreeable. Through homophily, our biases are continuously reinstated within our cohorts, one where we are not exposed to cross-cutting content. In order to maintain a certain level of objectivity and thus eventually exercise better choice, it is important to remove our biases to the best of our abilities. Far too often, we are guilty of choosing our cohorts in a manner that is ideologically comfortable for us, harmful maybe, but comfortable certainly. Being aware of homophily will not only help us attain greater objectivity but also enable us to decipher between news that is accurate and that which is not – but which we may believe anyways because it confirms our biases. The media remains the primary instrument through which we assess the performance of all political parties. The media itself, however, is susceptible to highlighting certain policy issues more than others, and also portraying these issues in a certain light. Being aware of the agenda-setting theory of the media and our vulnerability to homophily will help us become better-informed, and thus become better voters. While it is not possible to completely remove our biases, we must make a conscious effort to interact with content which we do not already believe in; however content which actually shifts our priors should ideally be backed by intellect, rationale, and facts. An informed electorate is perhaps the most significant prerequisite to the functioning of a successful democracy. Ferrera, Eliana La. “Media as a Tool for Institutional Change in Development.” Economic Development & Institutions, 2016: 9.